I just realised it's been over a month since I last sat down to write something. Christmas came and went. NYE came and went. I worked throughout. Then I went to Bali and I came back. Then straight back to work. And then purely because the year is now 2015 I'm in mini panic mode about all things wedding and honeymoon. It suddenly seems a lot closer than when the year was 2014. Christmas was same same but different - same Christmas Eve dinner with my fam followed by same Christmas Day with Tom's fam. However there wasn't the same festive mood that we usually see every year. 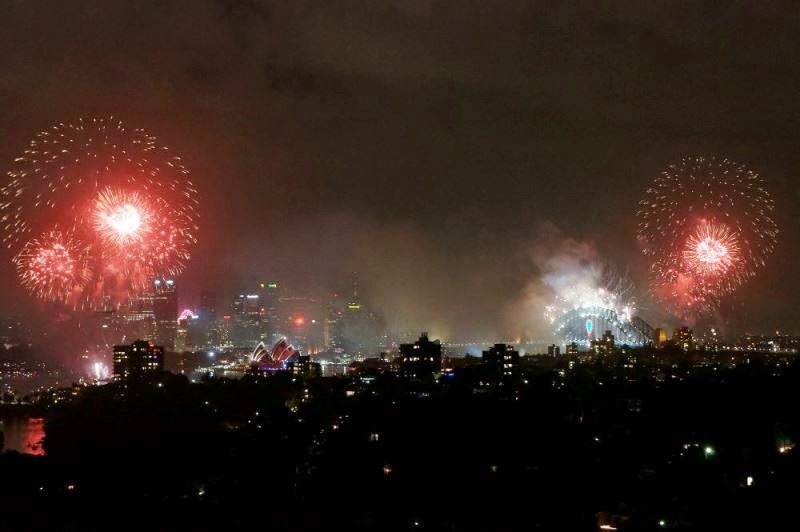 NYE was quite low-key for me considering previous years have been spent at Opera Bar or Falls Festival. 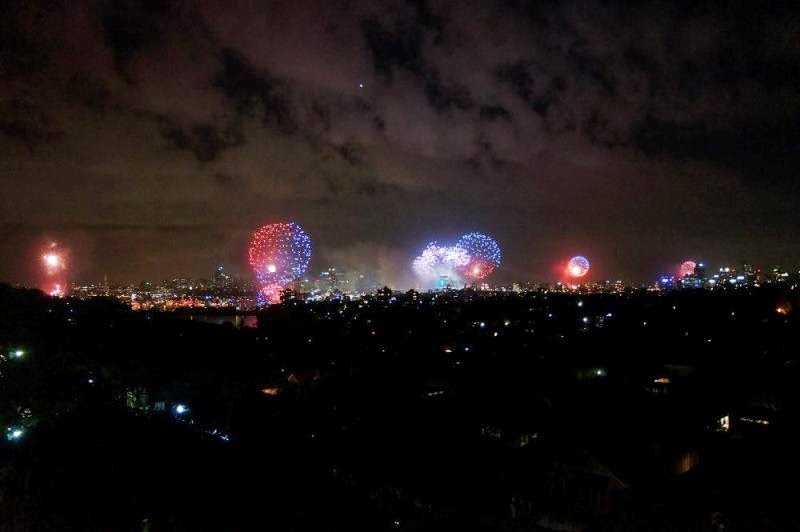 Instead I went down to see the 9pm fireworks around the harbour, then headed to a friend's place in Mosman to appreciate sweeping views from the Eastern suburbs to upper north shore. 36 hours later I was on a flight to Bali with my sister for a 10-day holiday. I'm not going to lie, the recent disappearance of the AirAsia flight did cross my mind a number of times throughout the flight (I took solace in the fact that Sydney to Bali is pretty much above Aussie land most of the way til the very end). 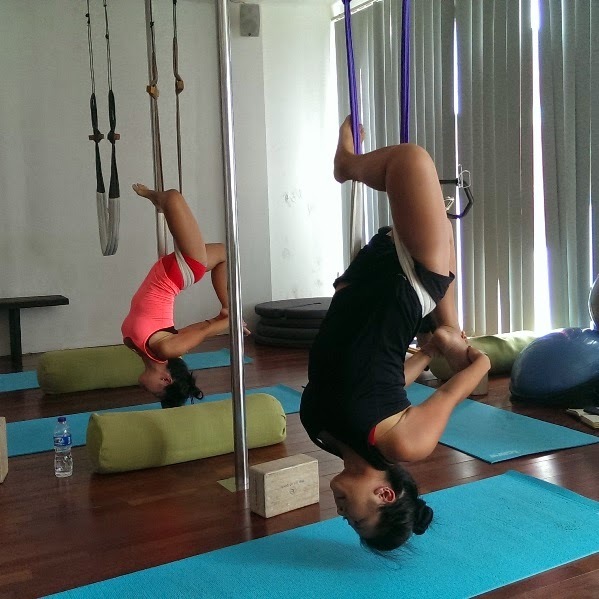 Bali was.... a mixed bag. When we finally arrived at the hotel at midnight local time (3am Sydney time) I had such a bad migraine that I was borderline vom-ing. Pretty much didn't sleep that night. 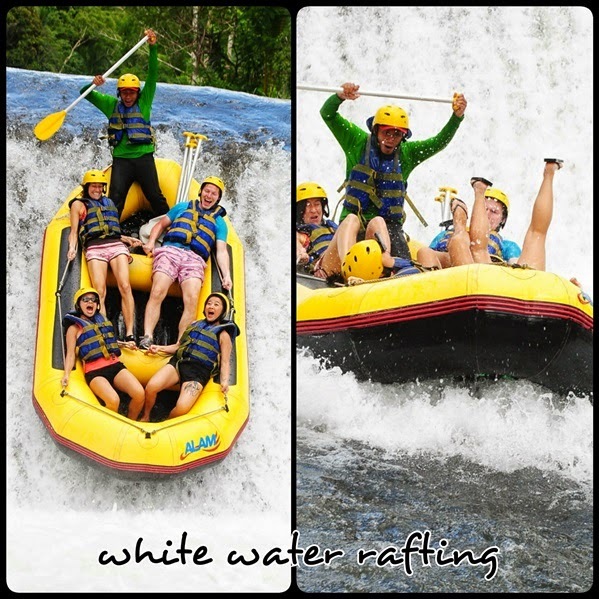 Did some cool stuff like white water rafting and aerial yoga though. And now I'm back at work, back to wedding and honeymoon planning, and back to house hunting. I'm a sucker for punishment. Sucker. It is pretty hard - just knowing where to place the harness so approx half your body weight is either side of it. It was so much fun though! !